I guess this should really be attached to my 'early year doubles events' post - but we can put it separately, as there is a show at Warrior Bazaar as well as a Doubles event ... and I was able to distribute some Society leaflets and Slingshot samples ... so we flew the flag a bit ...In truth, also, I suspect Warrior Bazaar is not that well known, so a brief report - amongst all these other show reports - might not go amiss. It is comparatively new, and at the moment seems not to be on everyone's 'must do' list. The show is at a Hotel/Conference centre/Theme Park complex adjacent to the M6, and although such is the lack of signing, I got lost once I was in the complex (! ), it was otherwise easy to find and quick to get to. It seemed to have limitless free parking, which is a blessing, given how many shows that statement does not apply to. My guess is there would be lots of room for the show to expand, should it need to. Of the premier Societies (ourselves, Lance & Longbow, WD, Pike & Shot) just 'me and my leaflets' attended .. none of us with games. There were a few games on show - mostly North West clubs having a day out. All of them of a good standard, I thought - none of them ancients (although with all the Doubles games in the foyer, you could hardly describe our periods as not represented ..).. The 28mm Cheriton game looked very impressive, and had a nice array of supporting materials and affable presenters. There was the ground attack planes game that had been at Vapnartak, and some Fantasy stuff. I also quite liked the Floor Tiles (my guess) way the BUA terrain had been done in the Flames of War game ... The Northern league Doubles are one day events and that formula seems to work quite nicely. I partnered the ubiquitous and multi-skilled James Hamilton for the day (who contributed usefully to my understanding of the finer points of FoG, whilst I think umpiring it as well ..).. I was talking to someone in the bar and we were wondering why - with so many wargames clubs in the Midlands - we seem to have a cluster of more local, less hyped, shows (and none, really, in the East Midlands ... although technically, I believe Derby is counted as East Midlands ...) rather than than the big, Triples, Salute, Colours type shows? Tradition, we thought, has a lot to do with it: shows just end up how they are and where they are as a result of random things that happened two decades ago ... 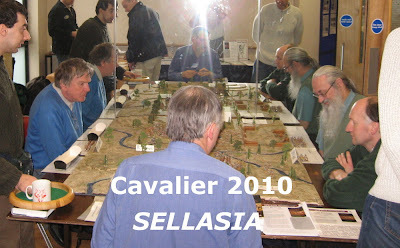 But also it is because we are in the Midlands ... so we can attend the big shows in the North and the big shows in the South (so we fit in with what everyone else wants - and that probably applies to a lot more than just wargames shows I suspect!)... Well, the Spring's big show in the Midlands is Alumwell's WMMS. And I guess it can get much bigger unless someone build it a multi-storey car park! For a Society of Ancients game we usually either take 'last year's game' for a final outing, or this year's (but it isn't always ready) ... This year we took this year's game. We tried out a long standing Anno Domino game at Vapnartak ... Anno Domino, but with (slightly random) movement, and the players getting a few extra 'non-player' characters clustering around them. It worked quite well, so, having passed the test, it needs to go to the next level. 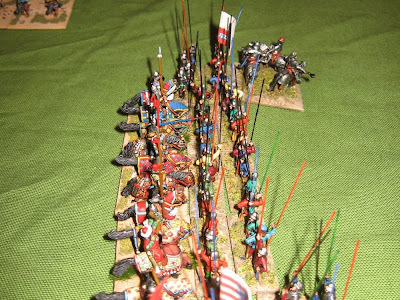 The game idea, all along, was based on Henry V's attack on the breach at Harfleur (shamelessly drawing on W. Shakespeare as the primary source). Yes, indeed, 'once more to the breach!'. I had acquired the basic group of 90mm Revell figures at various discounts (so they cost no more than 28mm metal, on average ...).. And so needed a breach for them to fight for. This is where the 'it isn't always ready' comes into play! And so I started chopping up polystyrene packaging into masonry blocks ... And sanding them into shape. Unfortunately, although a lot of the construction got done, the resulting terrain had a somewhat blanched, abstract, look. So we could put this outing down as test No.2 ... now 90mm, now openly titled 'The Siege Works at Harfleur', and now with poly-blocks rubble about to be fought over. Well it proved compelling for youngsters and veterans alike, and the team approved the progress so far. That's my excuse, at least. After some more research into the likely colour of the original fortifications (and a little imaginative interpretation of the English siege lines ... ) .. a few more blocks and a lot more paint will see this ready for a full premier (probably on Sunday at Triples) ...Thanks to everyone who played and contributed ideas and feed back. Yes, you will see more of the game. Elsewhere, there were the usual array of excellent games for which WMMS is become a reliable showcase. For ancients enthusiasts, Shrewsbury's Viking game looked good value (though it was mostly in display mode whilst I was viewing) ... and Simon Clarke was doing something worthy publicising large amounts of Saxon Gold (and such like) being found in the ground of middle England, and engaging the youngsters ..
And some great stuff to look at in later periods of history. The Society of Ancients sponsors Bournemouth's Armati-by-the-Sea and it was a joy to get down to represent us there. Usually, because Peter needs to book early, something of the Spring agenda ends up clashing (well, as the Overlord show did this year ...) - and last year I could not attend. Sad, that, when you consider that, often, half a dozen Armati players fly down from Scotland for this one (and I am just in the East Midlands ...).. 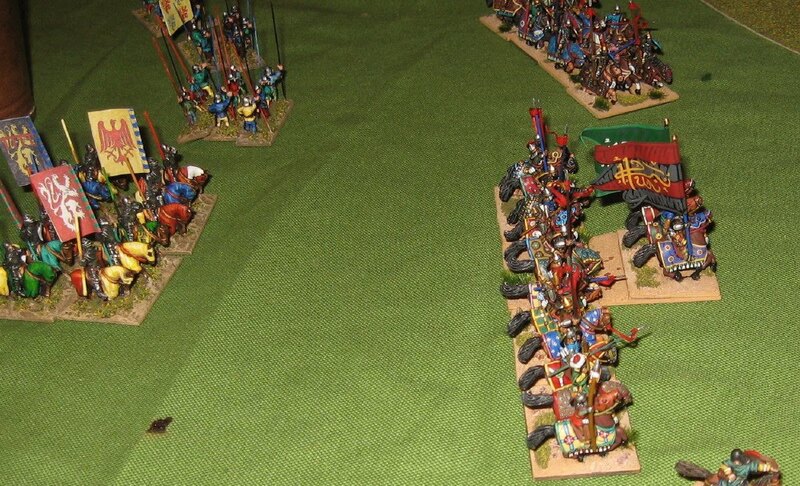 The Bournemouth event is one of what the Armati players call 'scenarios': in this case historically matched pairs of fairly standard armies - all provided by the organisers (so each match is drawn at random, and who gets which army is decided on a coin toss). This allows a travel light option for the players (great if you are a newcomer, or travelling, say, by air) ... it also suits those of us who don't play all that regularly (and/or who don't generally play the standard 'tournament style' game). 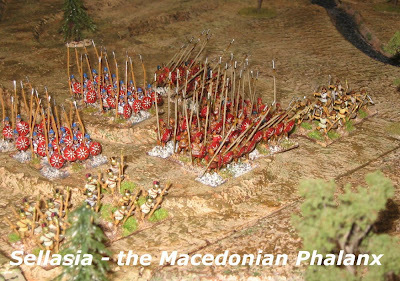 It is, of course, an immense logistic challenge for the organisers who, this year, provided 22 matched pairs (yes, that's 44 complete Armati armies! ), prepped, playtested, and delivered into the venue ... Immense and also wonderful. 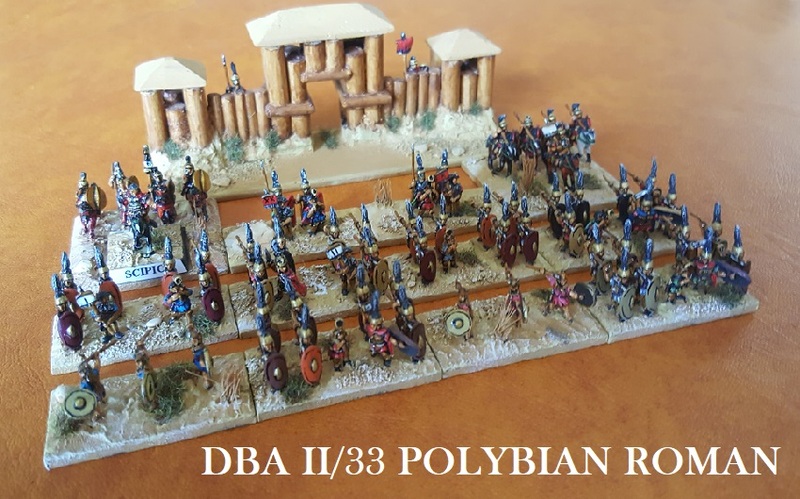 I tried to capture a flavour of the armies in use for the blog as I had done at Glasgow last time - but, well, the coverage is patchy, I'm afraid (there were 44!). There were 4 Biblical, 3 Antiquity, 4 Age of Empires, 6 Triumph of Cavalry and 5 Age of Chivalry ... I think this mirrors popularity to some extent (ToC events always seeming to draw more entrants). By the final round, all bar 2 pairings had been used. The two that had missed (African Vandal vs Belisarian Byzantine, and Palmyran vs Aurelianic Roman Eastern) were offered as 'finals' to the players in the top two (Swiss Chess) matches - we all accepted so, it means, I assume, that all the armies got used. Excellent. I think I'd better skip most of the gruesome details - I went down for the social event and to present the prizes ... and ended up winning (the first time since 2006) ... the rewards of low expectations, I suspect. And the luck of the draw. Nevertheless, apologies to Bruce for the Saturday morning (I am always a bit grumpy before lunch ... but I did moan a bit, I think ...).. 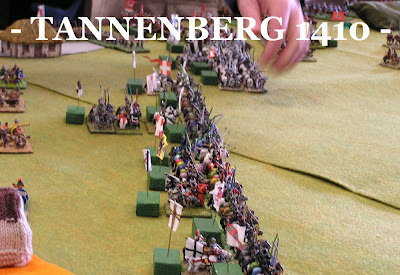 The following morning, John Bradley and I drew the 'Provincial Saracen vs Peoples Crusade' game: a delight, actually, but I'm glad John tossed the coin and awarded himself the pilgrims (managing that colossal army would have severely taxed my brain so soon after breakfast - the Saracen task was daunting, but it was, at least, obvious how to play the army ...).. A final game against Vincent Auger is always a pleasure - even if a difficult one to win. We got the Palmyran/Roman game, and I got the Romans ... always a viable army, and one I'm familiar with. An excellent if somewhat leisurely end to the Armati weekend. 1. Phil Steele; 2. Bill Wilson; 3. Malcolm King. John Bradley killed the most Generals. Huge thanks from the Society of Ancients to Mark Fry and Roy Boss for the army collections, and to former Secretary/webmaster peter Barham for organising the event. I gather it will happen again next year so watch out for the date being announced. 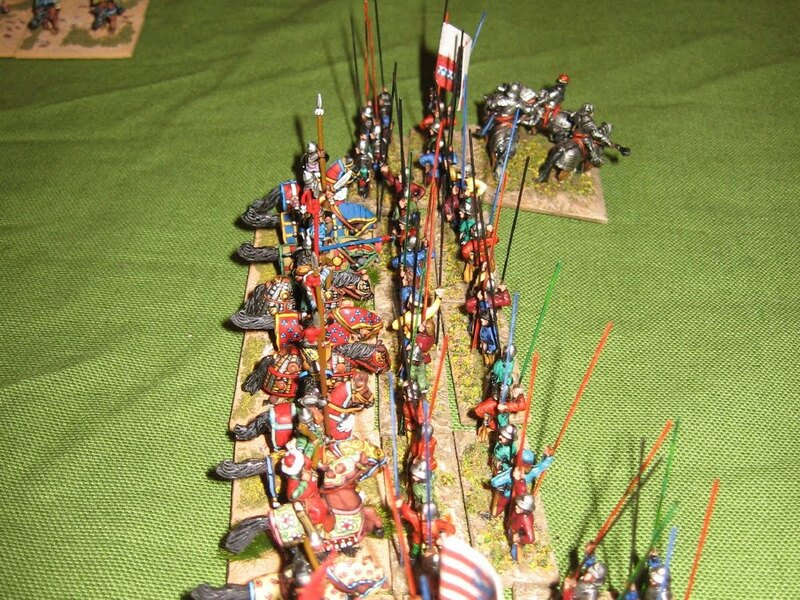 Whilst your regular blogger was down on the South Coast at the Society of Ancients sponsored Armati-by-the-Sea tournament, Robert Medcraft kindly flew the Society banner alongside his 600th anniversary reconstruction of the definitive battle on Crusader Europe's Eastern Front. 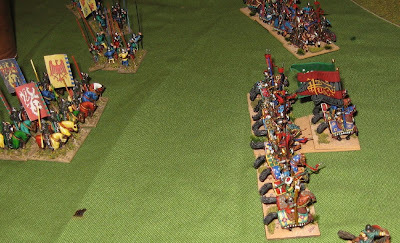 Here are some photos from the epic Field of Glory game. As the Northern shows season kicks off with Vapnartak in York, the southern winter groans on until Cavalier at the Angel Centre in Tonbridge. A must for the Society these days, and generally the first outing for the Sabin/Cruttenden/Waller participation games. 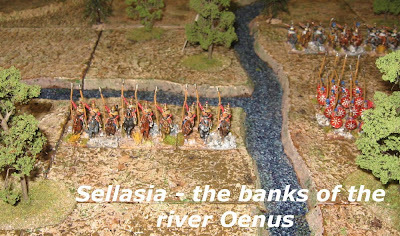 Although usually that means 25mm, because of the requirements of the battle they had decided to stage, Sellasia, this year it was spectacular 15mm. Phil Sabin's terrain was very impressive - all the more when you realise he has made components for this modular system to enable all the Lost Battles scenarios to be staged. The tiles are made up from thick cork on a base of blue carpet tile (the rivers and streams at the base of the cuts, of course). Visually, the illusions work, and the battlefield and its challenges is convincing. Actually, the costumed enthusiasts were doing some French and Indian Wars stuff and had a table of artifacts to enhance a fairly fun-looking participation game .... A theme that was followed up (sort of) in the Bring & Buy/Participation Games Hall, where I found more laced warfare from the Americas .. Thanks, as usual, from the Society of Ancients to its loyal band of helpers, to the Cavalier hosts - and, not least, of course, all you visitors who came along and joined us for a game or a browse or a chat (it would have been a dull day without you! )..